Retired Jamaican sprinter Usain Bolt is in talks with Mexican second division side Dorados, with Diego Maradona behind the proposal. The 32-year-old looks set to continue his pursuit of a career in professional football just a few weeks after failing to land a permanent contract with Australian club Central Coast Mariners. 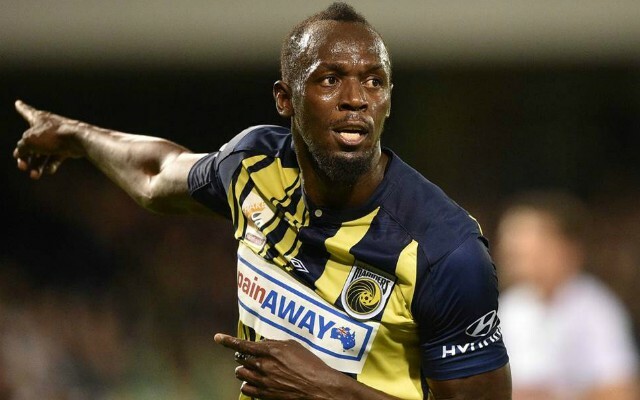 Bolt was granted an extended trial by the A-League outfit and played three games in total, scoring two goals, but he was ultimately unable to agree on personal terms with the Mariners. The nine-time Olympic gold medalist’s football journey seemed to be set for an abrupt end, but it now appears that he has been offered a lifeline from the most unlikely of sources, as Maradona has made a play for his signature – according to the Daily Mirror. 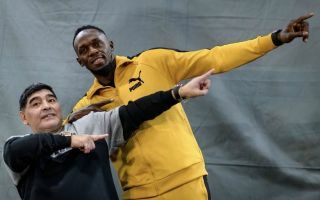 The two men played together in a charity tournament in Switzerland earlier this year and the Argentine legend was impressed with what he saw, which has prompted him to talk to Dorado’s sponsors about bringing Bolt to Mexico. Maradona works as the club’s technical director, having taken up the position back in September and he is now trying to negotiate a way to cover the 100-metre world record holder’s wages. The two-time World Cup winner arrived when Dorado were rocked bottom of the table but he has overseen a major turnaround in fortunes on the pitch, which has seen the team earn a playoff spot. Maradona is now already looking ahead to next season and he is hopeful that Bolt can join and be the man to lead the team’s attack, which would represent a huge coup for the club and Mexcian football as a whole.